Moe is a 11 year old girl, even though it appears a few more, so much so that in his first encounter with Yamada, he thinks she is a married woman. 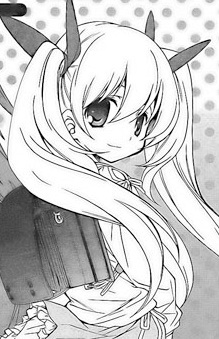 She is the daughter of Eri, Yamada's friend and neighbor, and Shiori's friend. Goes to primary school, is quite childish and innocent as her mother said, "Your body is the only part that has matured from you"